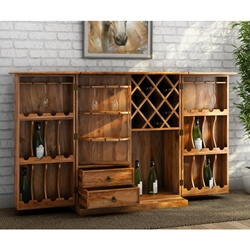 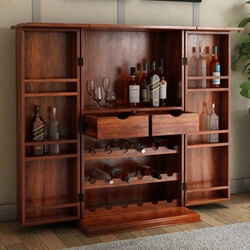 Enhance your den with the Valdosta Solid Teak Wood Handcrafted Expandable 49" Tall Wine Bar Cabinet as it brings a style statement through its neat and clean lines and enough storage space. 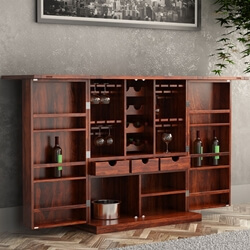 The bar cabinet blends beauty and functionality through its expandable feature revealing the stemware rack lining the top of the center space, two large drawers to stow away corkscrews, bottle openers, and coasters and the 16 bottle wine rack gracing the bottom. 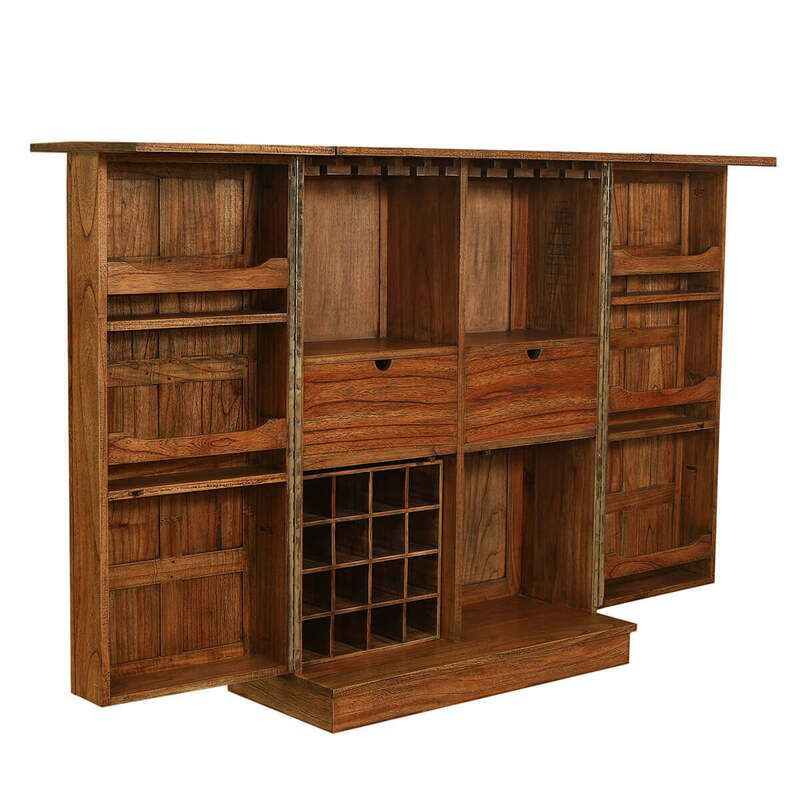 The bar cabinet when expanded further, offers plenty of storage space to hold liquor bottles. 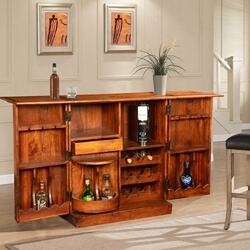 This is a one stop solution for all your bar needs while it enhances your living or dining space with its exquisite and earthy looks. 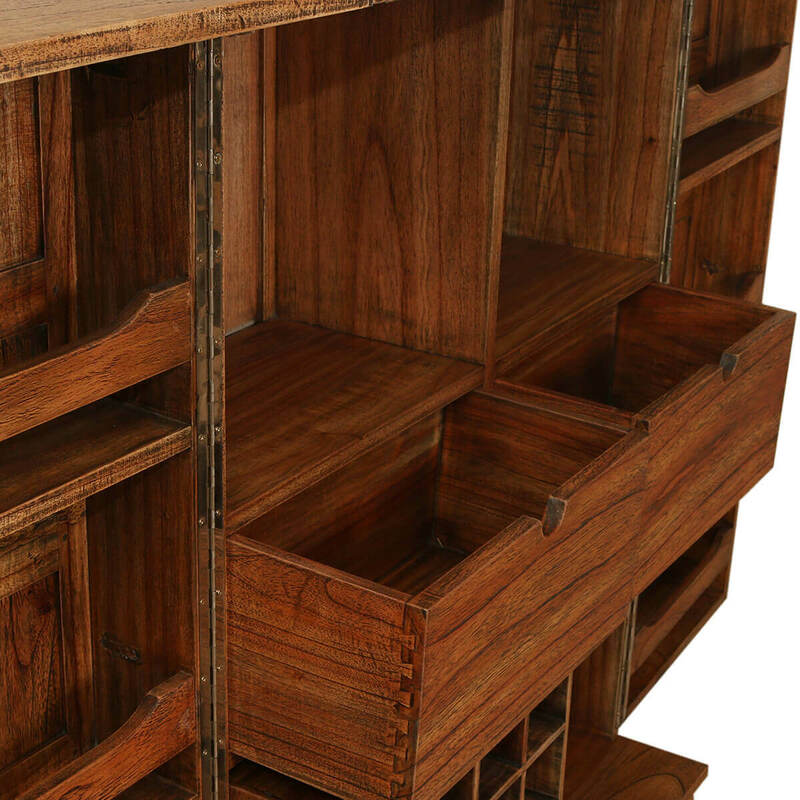 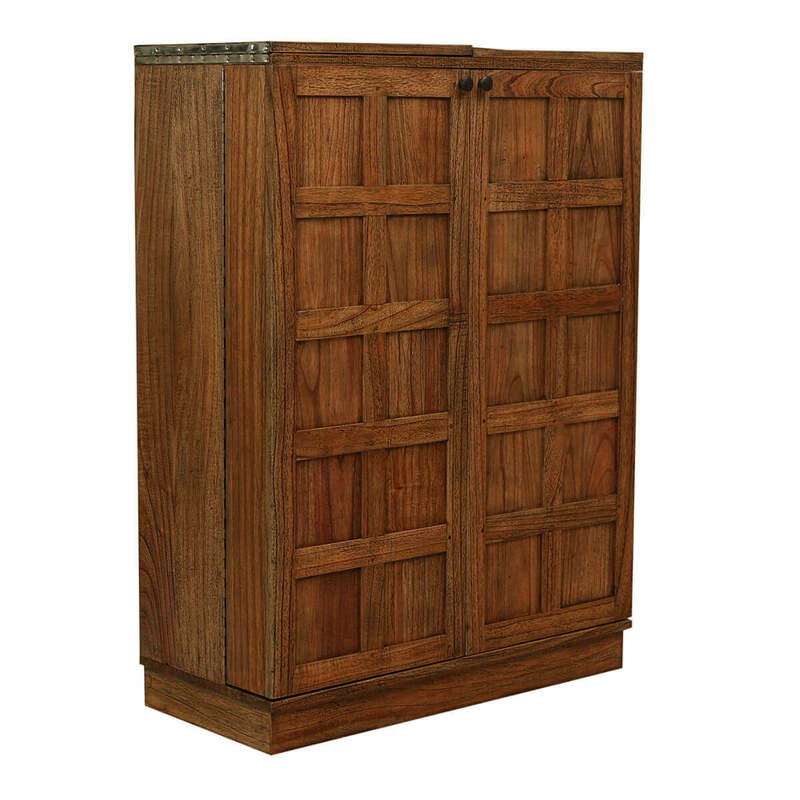 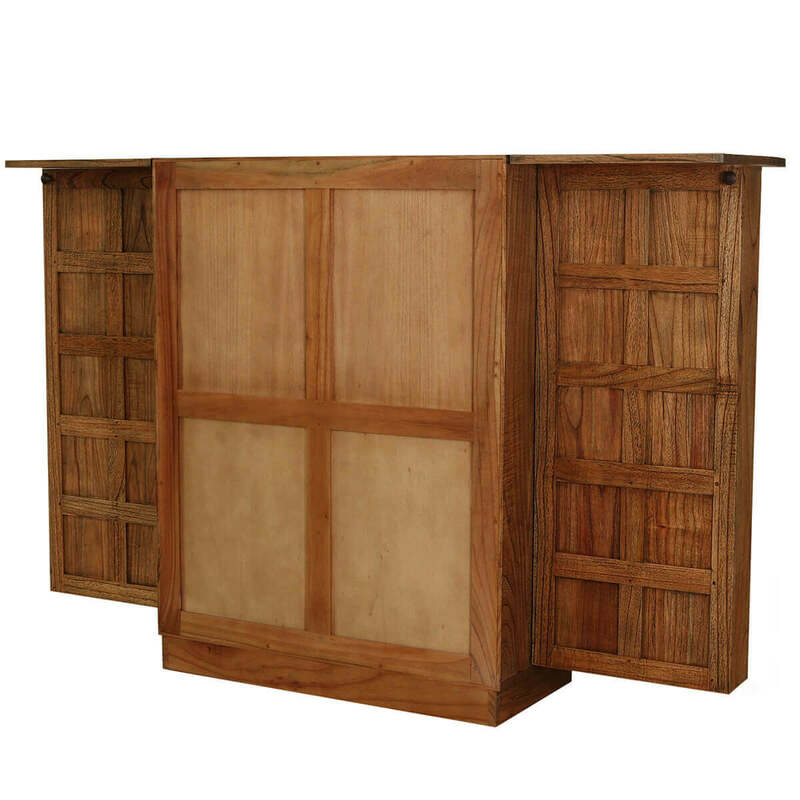 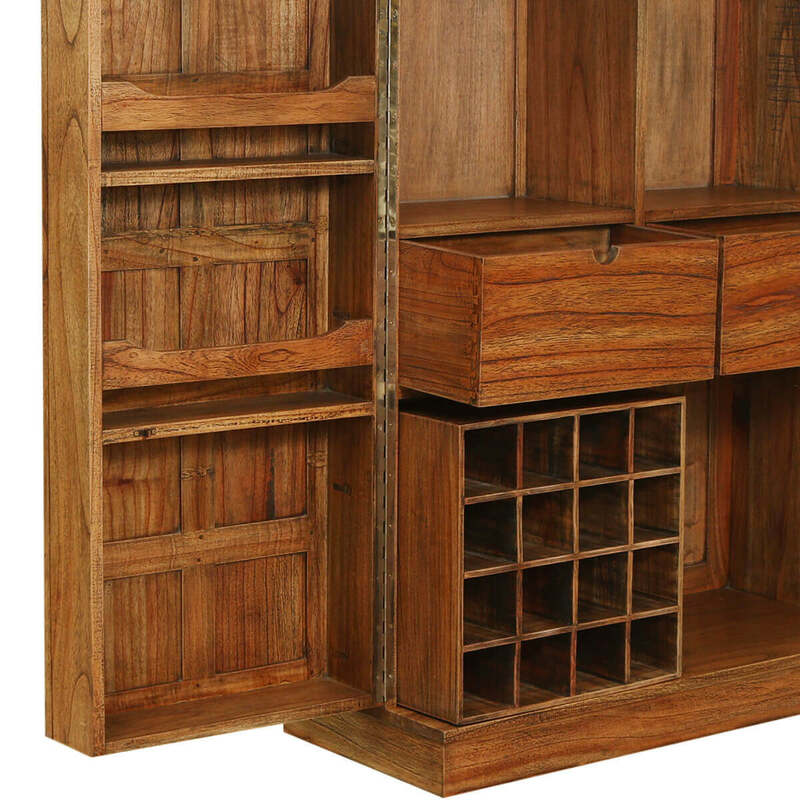 Materials: The Large Expandable Bar Cabinet is made of 100% solid Teak wood giving it a sturdy construction and lovely visual appeal to last for generations.